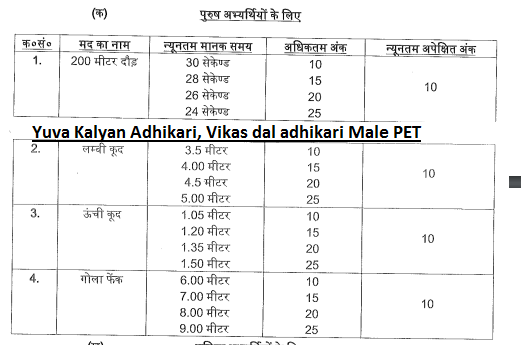 UPSSSC PET/PST details will be available from 29-03-2019. Download admit card for UPSSSC Yuva Kalyan Adhikari PET. For male and female candidates physical tests will be conducted separately. 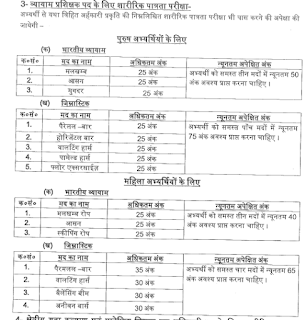 Candidates must have get merit in physical tests for this UPSSSC Yuva Kalyan adhikari posts. Physical Tests merit is conducted for preparing final merit list of UPSSSC Vikas Dal Adhiakri and Yuva Kalyan Adhiakri jobs. 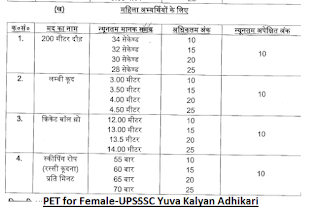 PET Admit Card link, PST/PET details for male and female candidates of UPSSSC Yuva Kalyan Adhikari jobs recruitment is updated below. Height : For ST candidates 147 cms and for others 152 cms. 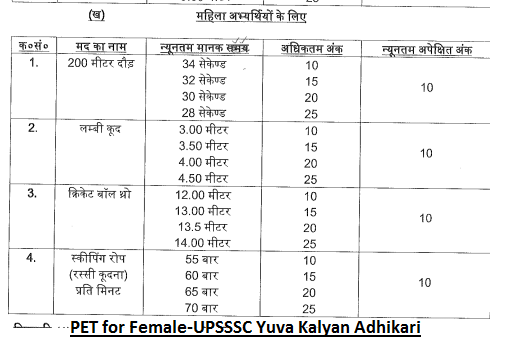 UPSSSC Vyayam Prashikshak Physical endurance Test Details male and female candidates. Physical test details for Physical Trainer will be conducted for 200 marks. For Male candidates physical test will be conducted in Bharatiya Vyayam and Jymnastics. 1. 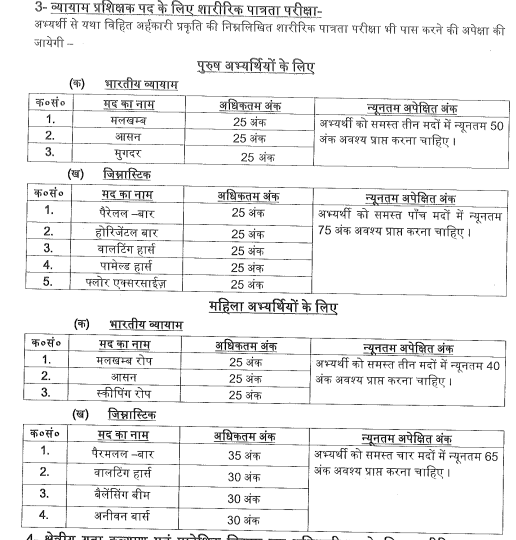 Bharaiya Vyayam will be conducted for 75 marks and minimum qualifying marks are 50 for male and for female 40 marks. 2. Jymnastics will be conducted for 125 marks and minimum qualifying marks are 75 for male and for female 65 marks. Candidates must have secured good merit in PET. PET marks are considered for preparing merit list.